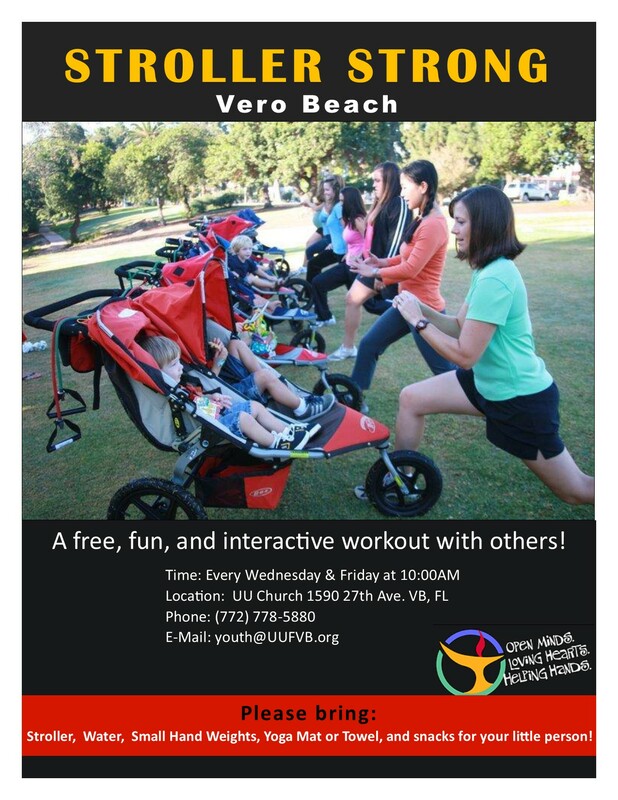 Join us for a fun and FREE workout! Grab your stroller, yoga mat, water and snacks for the little person. We meet every Wednesday and Friday at 10am at the UU Church. First work out starts Wednesday, Sept. 26th.